It looks like battery maker Energizer is poised to throw itself into the smartphone market. The company looks set to play to its strengths with a focus on battery life endurance thanks to its whopping 18,000 mAh cell. That's a serious battery. For comparison, the iPhone XS contains a 2,658 mAh battery cell. Even when you add the Apple-branded battery case to the back of your phone – you're still only carrying around a total of 4,027 mAh. Huawei is one of the leaders when it comes to squeezing the biggest battery cells into its hugely-popular smartphones. It's Huawei Mate 20 Pro handset boasts a cool 4,200 mAh battery cell – something that could be topped with its forthcoming Huawei P30 Pro, which is due to launch in March, 2019 in Paris. 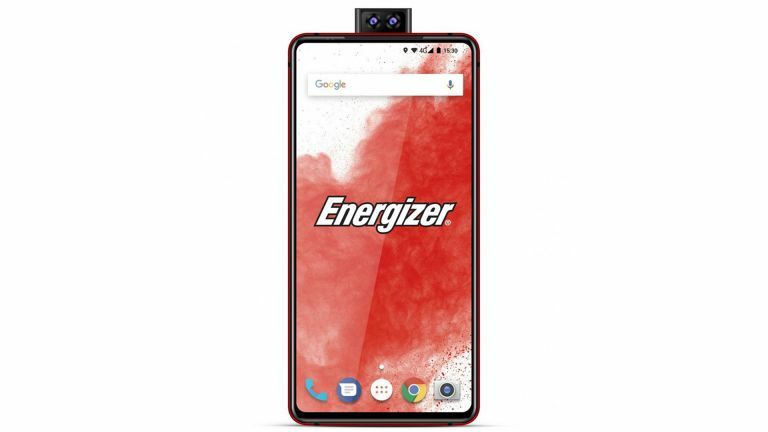 According to sources speaking to blog GSMArena, we can expect Energizer to debut a staggering 26 smartphones at MWC 2019 later this month. These will fall into four phone lines: Power Max, Ultimate, Energy and Hardcase. While that 18,000 mAh battery on the Power Max model is very exciting for, potentially, all week battery life, there's more. The Ultimate line should also feature a phone with a pop-up dual selfie camera meaning it comes with a truly all-screen display. This Ultimate model should come with a 6.2-inch FHD+ display and a triple lens rear camera toting 16MP, 5MP and 2MP sensors. This should also sport the MediaTek Helio P70 CPU, 6GB of RAM, 128GB storage with microSD expansion and USB-C. There will be lots of variations on this with dual camera models and lower specs to cater to all budgets. There should also be a line of handset with teardrop notch displays which vary in specs. Expect the Energizer phones to get officially unveiled at MWC 2019 with availability to run from April, June and October for varying models.